Five Star Chocolates - 2 (21.5 grams) . 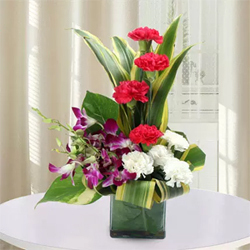 If love is a game, you must win and to aid you in this game we have a beautiful arrangement of red Carnations, white Carnations, purple Orchids, and Dracaena leaves Mixed Carnations � 8 Purple Orchids � 4. 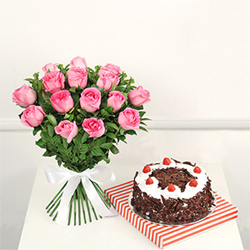 Bunch of 15 Pink Roses with Half Kg Black Forest Cake. 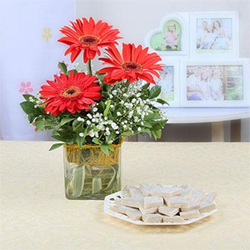 Take a look at this enigmatic combo of red gerberas and a pack of kaju katli that is a wonderful way to express love for your special 3 Red Gerberas with 500 Gms Kaju Katli Box. 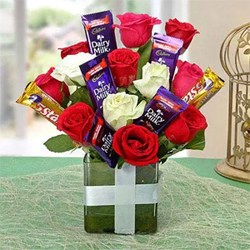 Glass Vase of 15 Red Roses with 2 Bars of Cadbury Temptation. 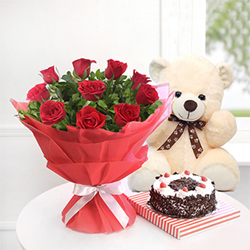 A Bunch of 10 Red Roses with Half Kg Black Forest Cake and small Teddy Bear . 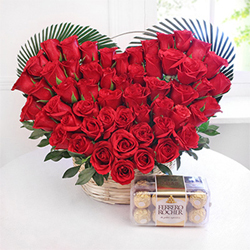 Arrangement of 15 Mix Roses with a 12 inch Teddy. 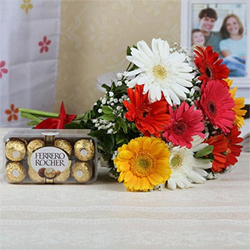 Bouquet of 10 Mix Gerberas with 16 Pcs Ferrero Rocher Box. 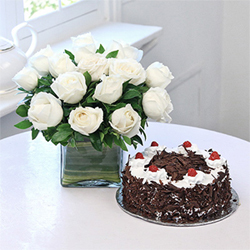 This alluring combo of a glass vase arrangement of twelve white roses, and a half kg round black forest cake. 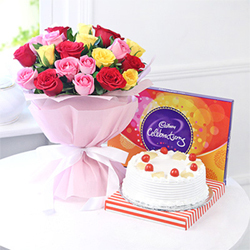 Bunch of 20 Mix Roses with Half Kg Pineapple Cake & Celebrations. 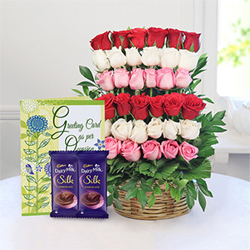 This gift comprising of 15 cheerful yellow roses in vase arrangement and 400 gms of assorted dry fruits are sure to win over the love and appreciation of someone close..
purple and blue orchids. 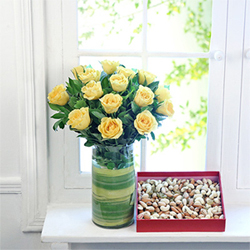 The glass vase comprises of 15 stems and it makes a perfect flower gift for any joyous event.. 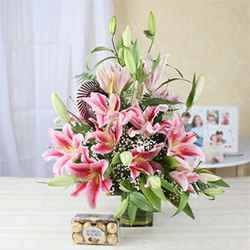 Bouquet of 6 Orchids with Half Kg Black Forest Cake & 12 Inch Teddy. 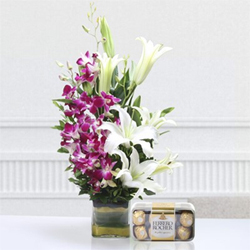 This unique hamper featuring a Vase of 5 Purple Orchids and 3 Lilies with 16 Pcs Ferrero Rocher Box is curated for special occasions by our experts..
Vase Arrangement of 15 Pink Lilies with 16 Pcs Ferrero Rocher Box.